Looking for a devilishly good treat? Angelenos, look no further than Crumbs Bake Shop Friday. 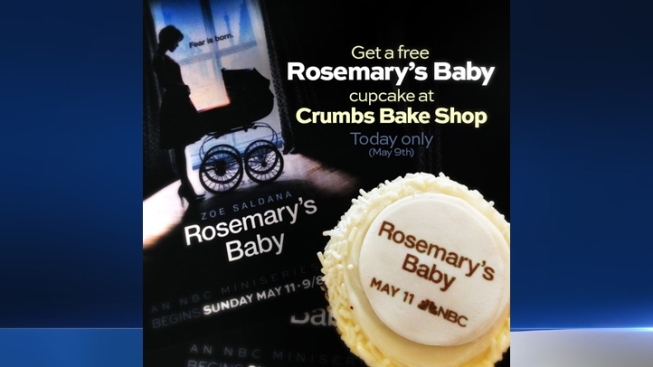 The bakery is celebrating the launch of NBC’s newest miniseries, “Rosemary’s Baby,” by offering customers a limited edition devil’s food “Rosemary’s Babycake” Friday. Crumbs Bake Shop is located at 216 N. Larchmont Blvd. in Windsor Square.